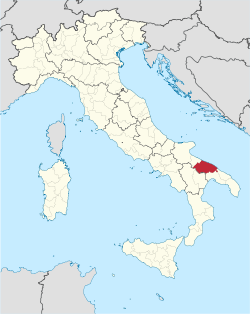 The Province o Bari (Italian: Provincia di Bari) wis a province in the Apulie region o Italy. Its caipital wis the ceety o Bari. This page wis last eeditit on 11 Mairch 2018, at 16:55.